Rowll Case includes: 1. 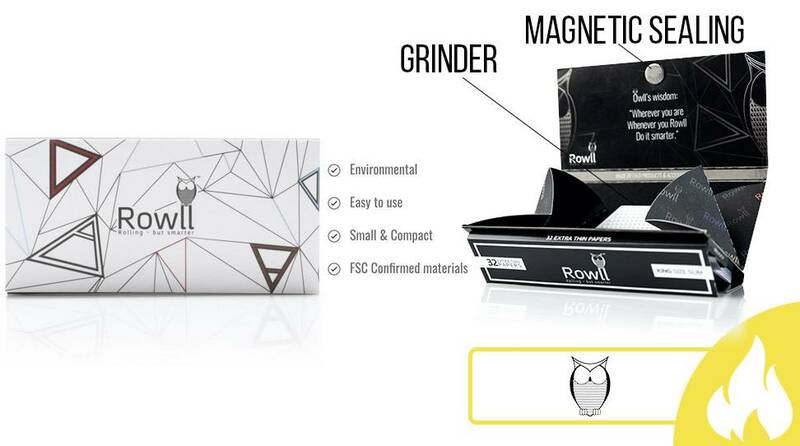 The Rowller – grind your herb on the go.2. Case – store your goods.3. Funnel – Rowll your herb easily.4. Rowlling papers – 32 extra thin Rolling papers.5. Filter tips – 32 filter tips.6. Magnetic sealing. YOU MUST BE 21 YEARS OR OLDER TO USE, POSSESS OR PURCHASE THIS PRODUCT. 1. 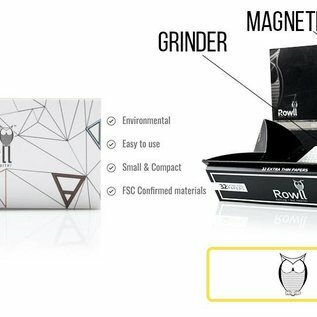 The Rowller – grind your herb on the go. 2. Case – store your goods. 3. Funnel – Rowll your herb easily. 4. Rowlling papers – 32 extra thin Rolling papers. 5. Filter tips – 32 filter tips.6. Magnetic sealing. the best innovation in history.